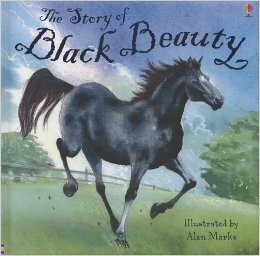 From Amazon: “Anna Sewell’s classic story of a young horse’s journey from the rolling hills of the English countryside to the dark, cobbled streets of London, retold for young children in picture book form.” Black Beauty grows up on a pleasant farm, surrounded by loving caretakers and good friends. But events take place and she is sold and then sold again. Each new master fails to treat her with kindness and consideration – this is a true picture of London at the turn of the century. You will need: Construction paper, markers, scissors, glue AND your child. 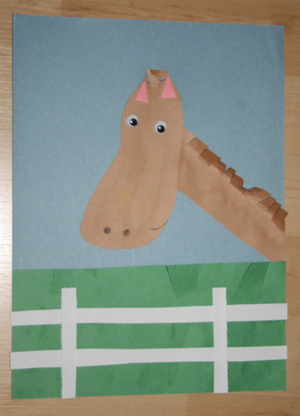 Trace the outline of your child’s foot on a piece of construction paper (this will be the horse’s head). Cut it out and cut out from construction paper (or draw) the other elements in the picture – horse’s neck, fence, flowers. This entry was posted in Crafts for kids, Perfect Picture Book Friday, Picture Book Review, Year of the Horse and tagged Anna Sewell, Black Beauty, Make a horse craft, Perfect Picture Book Fridays, Year of the Horse by viviankirkfield. Bookmark the permalink. Great craft idea, Vivian. That footprint horse is darling. What a gorgeous cover of Black Beauty. I imagine the rest of the illustrations are beautiful. Great to see this classic in a PB. What a fun activity for kids. A perfect choice for Year of the Horse, Vivian! Looks like a wonderful read. And I love the craft project. I know what I’ll be doing with my grands this week. I’ll have to check if our library has this book. That would be an interesting story to read with my kids, and a lot shorter than the novel for now. Never did read the classic, this looks like my chance! How come I haven’t read this? Love your activity, Vivian. This sounds like a great book! 😀 Josie has a copy of the novel (which I haven’t read yet). I didn’t know there was a picture book too! Like everyone else, I didn’t know there was a picture book retelling! Loving the footprint horse. A picture book Black Beauty!! Excellent! Thanks! This looks like a lovely edition! 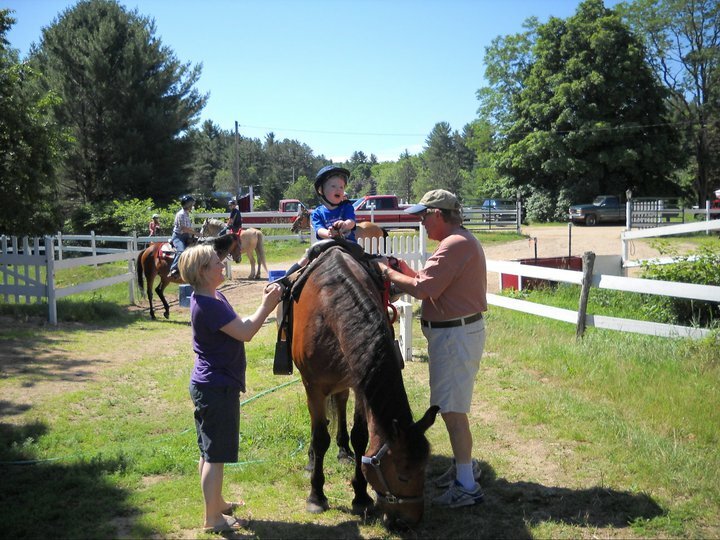 I am bookmarking that footprint horse, RIGHT NOW! I’ll have to find this one for sure! Love the footprint horse…adorable!